Custom Made Hot Dogs- MADE IN MICHIGAN! We proudly serve a custom hand-made 100% Pork hot dog from Dearborn Sausage. Our dog is a variation on the original Tiger's Stadium hot dog! Its naturally cased in a lamb casing and made with 100% meat cuts. NO fillers or "parts". 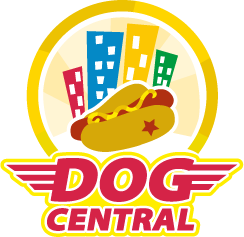 The dogs are hardwood smoked before arriving at DC - they are fantastic grilled or deep fried! 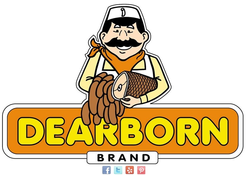 We are very excited to announce we have teamed up with Dearborn Sausage as our hot dog manufacturer! DEARBORN SAUSAGE makes everything from dogs to pierogies to liverworst! Check out their website to see their entire product line! CIick here to learn more about Dearborn Sausage!